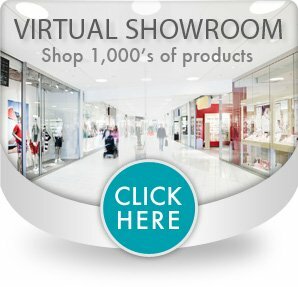 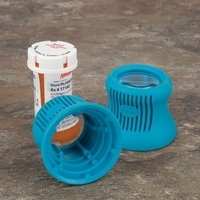 Easily open standard or child proof medication bottles. 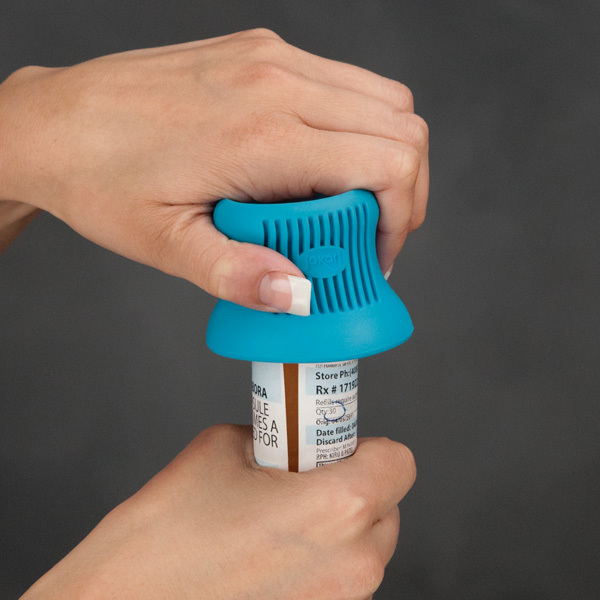 Medi-Grip Bottle Opener with Magnifier is ideal for persons who suffer from arthritis or have difficulty opening prescription or standard medicine bottles. Made of a unique material that is soft on the hand while maintaining a secure grip on smooth or ribbed bottle caps during use. A bonus built-in 4X magnifier makes reading dosage or contents on labels easy.